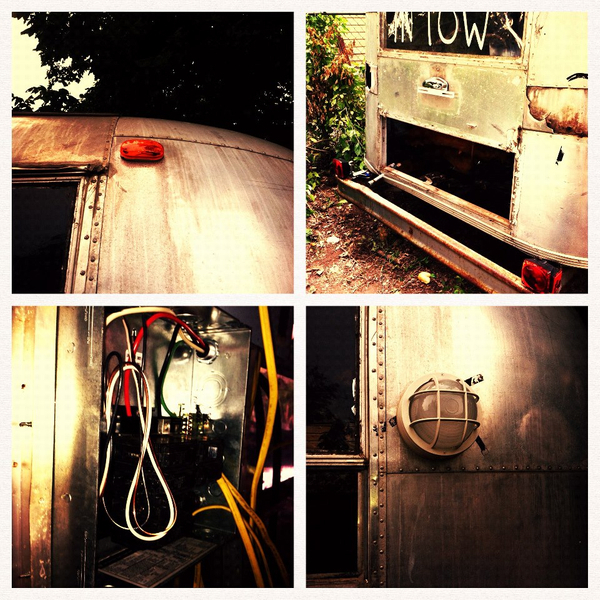 We worked in coordination with Neil Curran to rennovate this classic, beat down airstream trailer and turn it into an esthetician's workspace. Exterior signage was painted by Chris Holloway. Drophouse overhauled the trailer's frame and exterior. When the vagabond arrived, her frame was totally rusted through and the exterior showed serious signs of wear. We built a whole new undercarriage for her as well as cleaning up the outside and adding a new step and awning. Other work included some interior shelving of stained pine and steel. We wish them the best of luck at their spot behind Hearts and Robots Salon in east Austin.